Rwanda is reviewing the law governing roads. 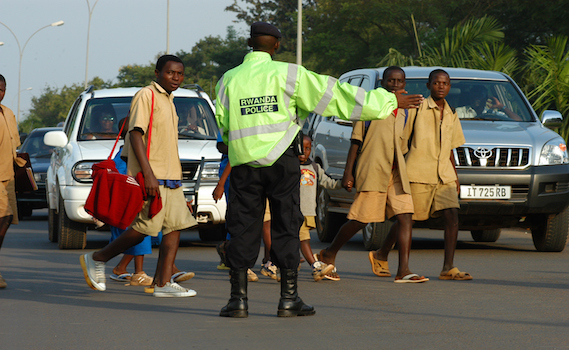 In the draft law, pedestrians who don’t abide by traffic rules could be penalised with up to Rwf25,000. On June 23, 2017 the Minister of State in charge of Transport, Dr. Alexis Nzahabwanimana bried the Senate and explained why rules regulating public transport have not been put in place. Dr. Nzahabwanimana said the organic law governing roads published on 2nd May 2012 does not show the punishments reserved for pedestrians who do not abide by traffic rules. The Rwanda National Police says, “Despite automobiles – vehicles and motorcycles – being listed as the most involved in accidents, some of deadly incidents are due to the carelessness and recklessness of some pedestrians, who breach road traffic rules’’. Pedestrians violate road traffic rules when they don’t use zebra crossing. See video below showing how pedestrians break the rules.